PhysicianMom.com: Can Probiotics Prevent Stomach Flu? Well, if it works for kids, it probably does the same for adults. To read the full article on medpage you can click here. Hi Ellen! Great blog - very informative, yet parent friendly :). I give my kids a chewable probiotic every single day. We use the Nature's Way one that has 3 billion CFU. I do believe that it boosts their immunity, and it definitely cuts down severity of symptoms if GI issues do arise. My doctor told me that he eats an Activia every day and has for 2 years. He hasn't had one stomach virus since he started and he's been exposed to a ton! It may or it may not but taking probiotics supplements will help you avoid having stomach flu I guest. Having good bacteria to fight with the bad bacteria will prevent you having digestive problems. Hello, I definitely recommend taking probiotic capsules daily. I have come in contact with the stomach flu many times with my 4 kids. That includes being barfed on... And so far so good. Currently, my 18 month old son is sick with the barfs and he takes the probiotic gummies daily. From my experience with those for children it did lessen the symptoms but I would recommend to double to dose of gummies to prevent the virus. I doubled my 4 year olds dose and so far so good. 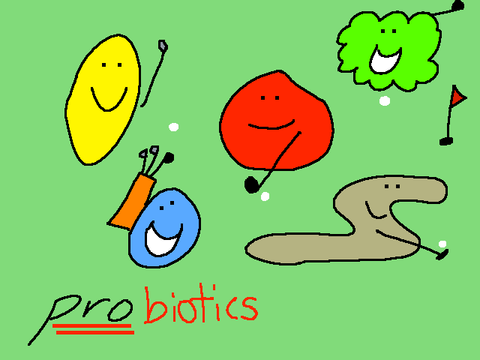 My 9 year old takes my probiotic 20 billion live cultures and she is fine. I recommended capsules over gummies if possible. They seem to work more sufficiently. Also, bleach!!! Bleach everything light switches, knobs, anything anyone would touch. Good luck!